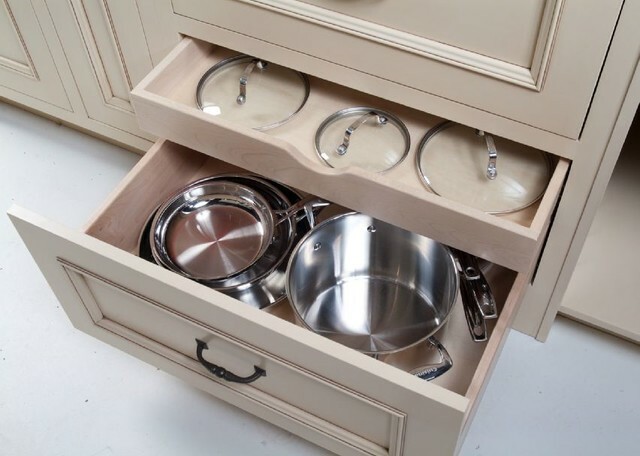 One of the largest, yet most inefficient, drawers in our kitchen is where I store our pots and pans. 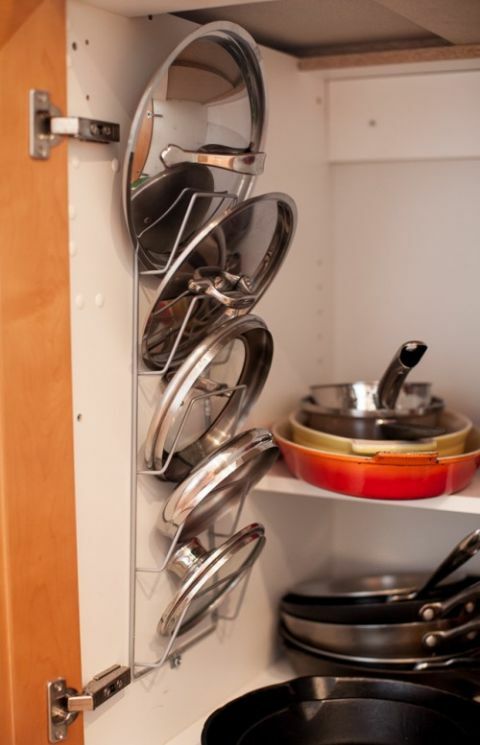 We store our cookware in a big, deep drawer right next to the range (seen above). Bakeware is kept in the other drawer. Drawers are great for stacking and storing, plus I can easily access everything without "digging" for it like I used to when we only had cabinets. Use dowels or tension rods as dividers for lid storage. 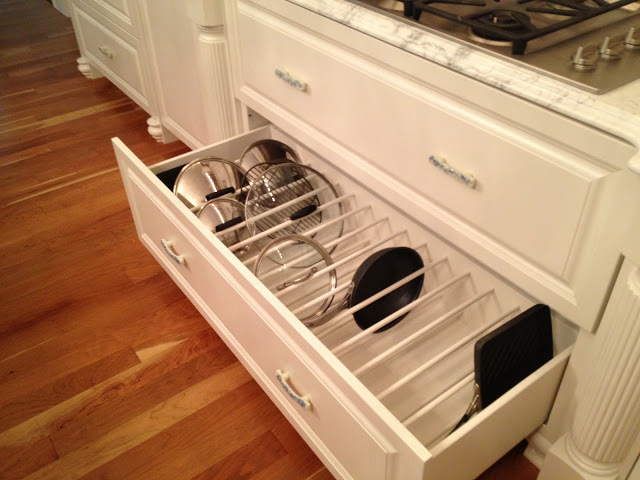 Insert a divider that runs the length of the drawer, and stack the lids vertically. 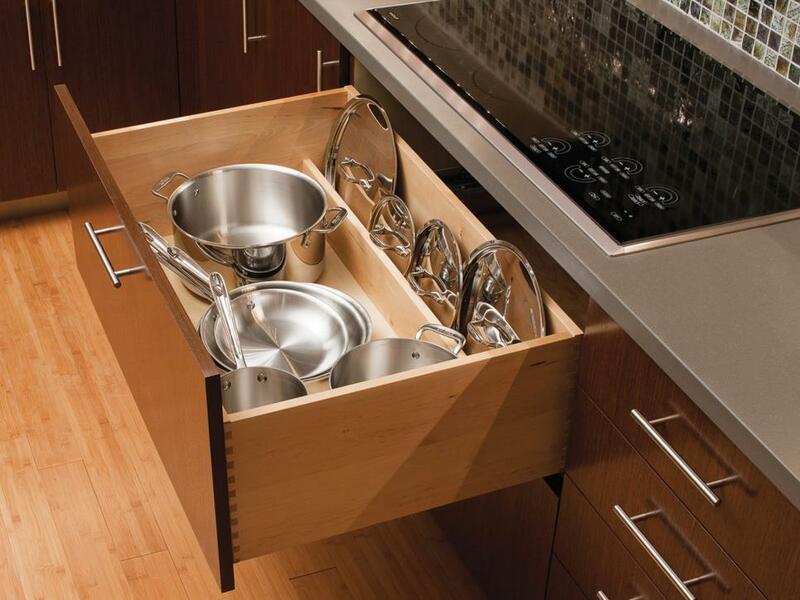 Install a pull-out shelf to separately store lids if your drawer is deep enough to accommodate it. You can also install multiple pull-out shelves in a cabinet to serve the same purpose. Use a tiered shelf to add an extra level of storage in a cabinet. Contain the lids in a tray or basket and store on one tier. 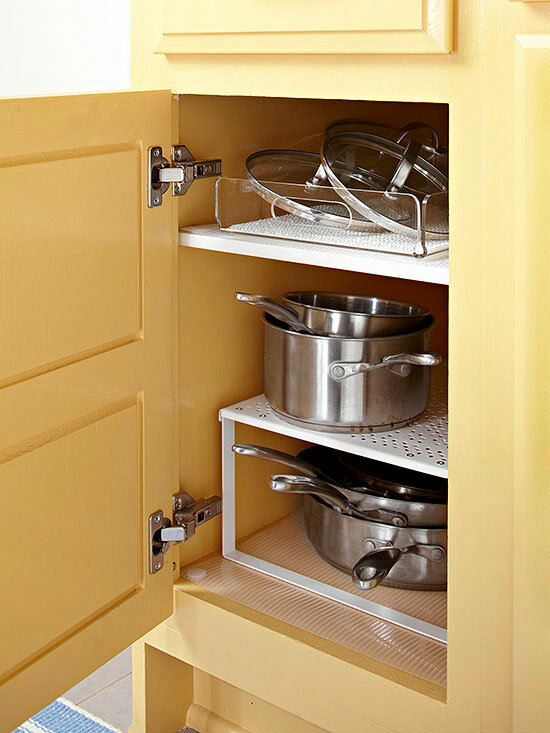 Take advantage of any vertical space in a cabinet and install an actual lid rack. 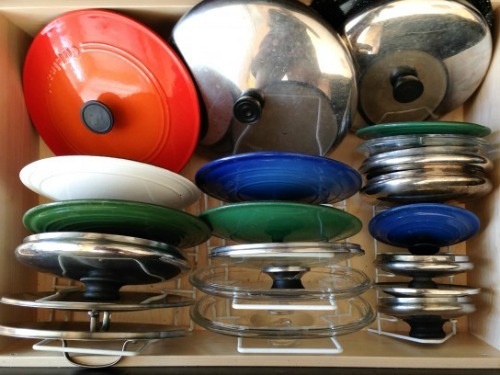 Use wire or metal racks to store lids (pans and bakeware too!) vertically. 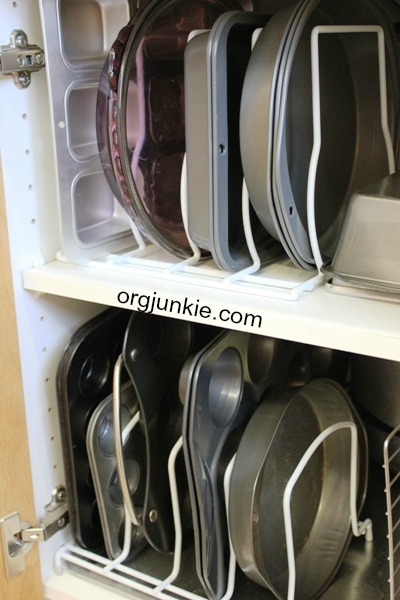 Try a CD or dish drain rack for lid storage! 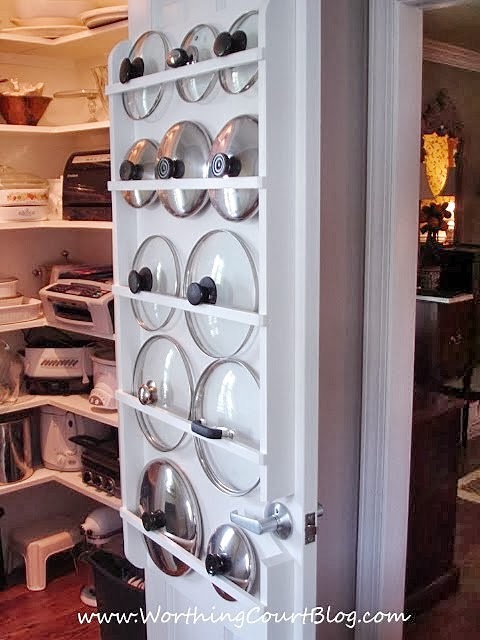 If you have a walk-in pantry, build a rack on the door to store your lids! I'll let you know which solution I end up trying as I continue to get our kitchen cabinets organized!